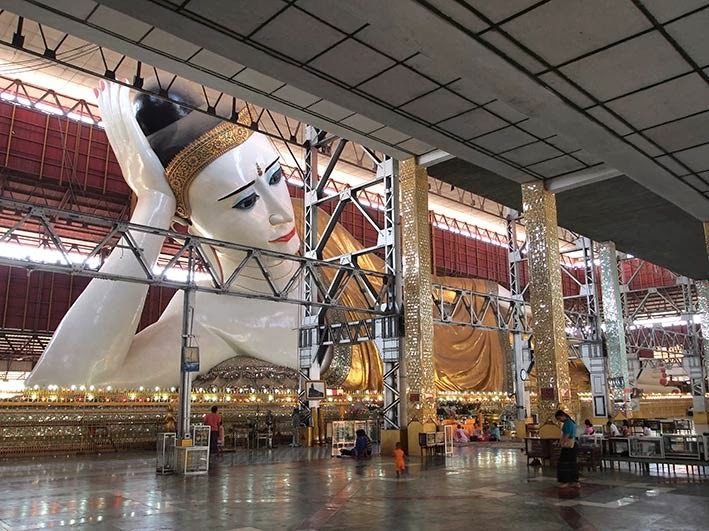 The reclining Chauk Htat Gyi Buddha is housed in what looks like an old aircraft hanger with industrial grey metal riveted pillars standing next to gold and silver columns. 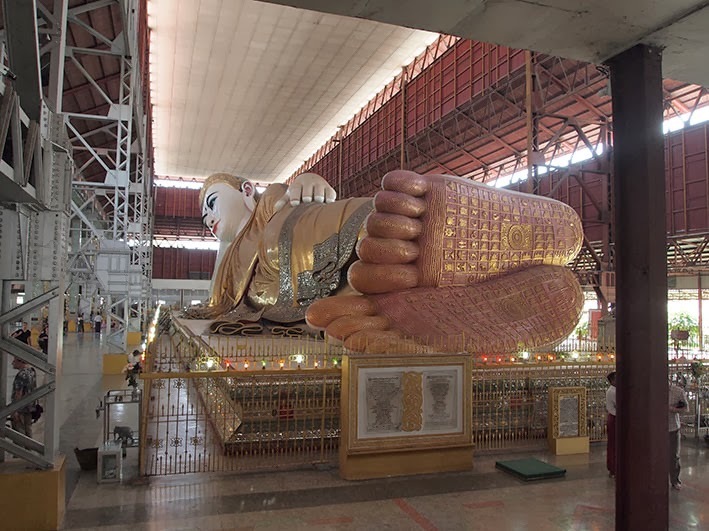 The statue has many impressive measurements that are listed in both metric and imperial units: the length from halo to foot is 65.83m; the circumference of the nostril is 0.94m. 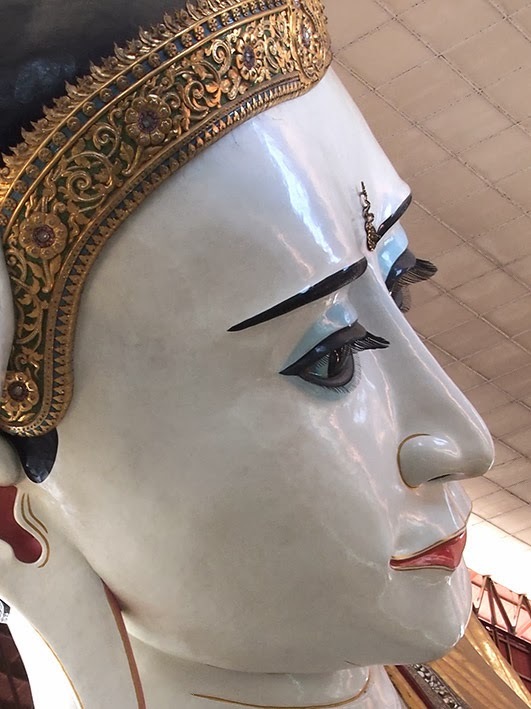 Someone may have been a bit overzealous with the statistics and conversions as the upper and lower eyelids have 71 and 60 eyelashes which have been converted to 21.64m and 18.28m respectively. The pagoda benefits from not being well advertised, but I can foresee the day when the small car park will be full of coaches off-loading camera-wielding tourists dressed in adventure slacks and flowery frocks. Oh dear.